Male Symbol (for picks). A simple male symbol for gender related picks.. Images in the fanpop club tagged: picks male. 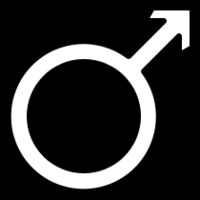 A simple male symbol for gender related picks. My name is Camella West, i am a young decent,responsible,God fearing and intelligent girl studying law in university. i saw your profile id today during my browsing and i pick interest in you which made me to contact you for good relationship. i am interested to be your loving friend and also willing to know more about you. i want to share a long-term relationship with you.please contact my so that i can send you my pictures and tell you more about me God bless you.